July 26, 2016 by Samantha Raney in D.I.Y. Good morning! 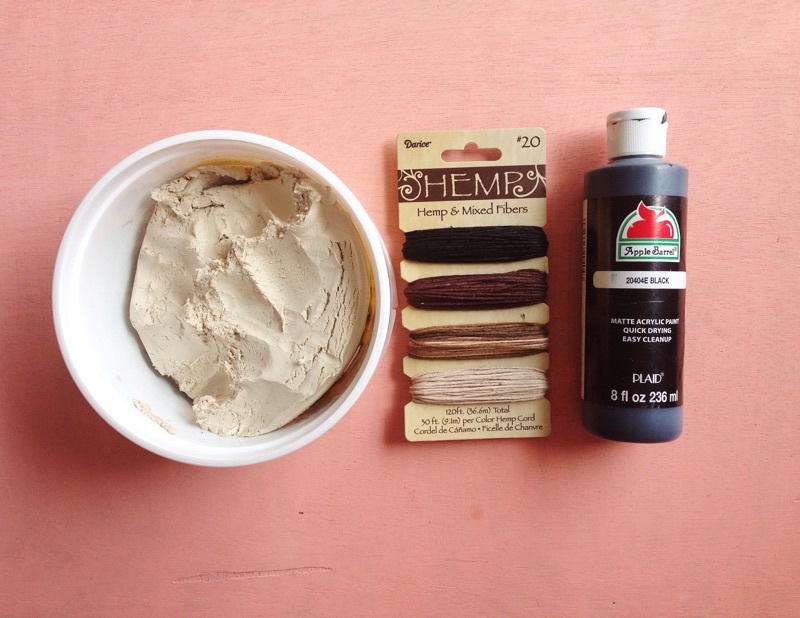 Just wanted to share an easy little DIY for creating your own clay bead necklace! These always turn out super cute and are simple enough to get kids involved, if you're looking for fun crafts to do with them for the summer. Bailey ended up liking the end result, and has been known to steal this from me on occasion. She definitely looks cuter than me wearing it though, as per usual. Get the how-to below! - something to poke holes in your clay with. I used an old paint brush, but a pen or pencil, or anything of similar width will do. Step one - Roll out 4 hazelnut size balls of clay, and poke a hole through the center with your "stylo", or what have you. Step two - Let the clay dry overnight, and then paint whatever design or pattern you like! I did small and quick little brush strokes, but your could do shapes, solid individual colors, stripes, etc. Step three - Let paint dry and start wearing to your hearts desire!